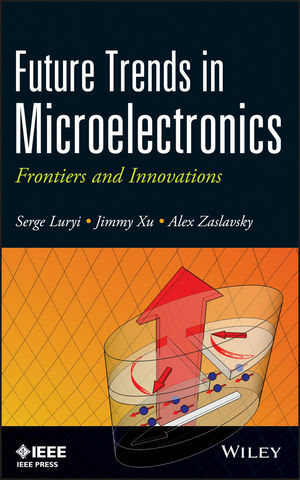 This seventh volume of Future Trends in Microelectronics summarizes and synthesizes the latest high-level scientific discussions to emerge from the Future Trends in Microelectronics international workshop, which has occurred every three years since 1995. It covers the full scope of cutting-edge topics in microelectronics, from new physical principles (quantum computing, correlated electrons), to new materials (piezoelectric nanostructures, terahertz plasmas), to emerging device technologies (embedded magnetic memories, spin lasers, and biocompatible microelectronics). SERGE LURYI is a Distinguished Professor and Chair of the Electrical and Computer Engineering Department at Stony Brook University, and Director of the New York State Center for Advanced Technology in Sensor Systems. He has published over 240 papers and has been awarded fifty-one U.S. patents. JIMMY XU is the Charles C. Tillinghast Jr. '32 University Professor of Engineering and Physics at Brown University. Previously, he was the James Ham Chair in Optoelectronics and the Nortel Chair Professor, as well as director of the Nortel Institute for Telecommunications at the University of Toronto. He is a Fellow of the AAAS, APS, Guggenheim Foundation, IEEE, and Institute of Physics. ALEX ZASLAVSKY is a Professor of Engineering and Physics at Brown University. He has published over 100 journal papers and book chapters, and co-edited seven books in the microelectronics field. He is also an editor of the Solid-State Electronics international journal.